Sigma Beauty Brushes were the first luxury makeup brush brand that I had ever purchased from. They are deemed to be one of the most popular and best companies for makeup brushes. 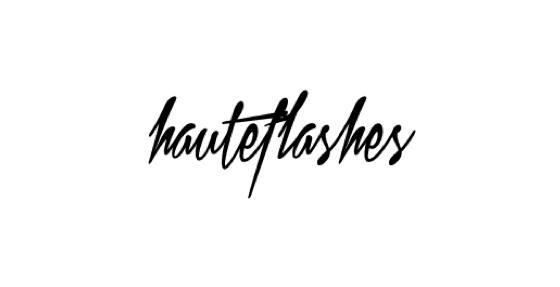 Over the past few years, they have grown to produce better and softer brushes and what’s more, they’re developing not just brushes, but also makeup products such as eyeshadow, brow essentials, lip products and so on. They are proving themselves to be a competitive contender in the makeup industry. One of their bestsellers is the kabuki brushes! And my favourite of the bunch is the … Round Kabuki F82! I know that the Beauty Blender has taken the makeup world by storm, but it doesn’t always work perfectly to apply every single kind of foundation. So that means, we need to go back to basics and use traditional brushes. 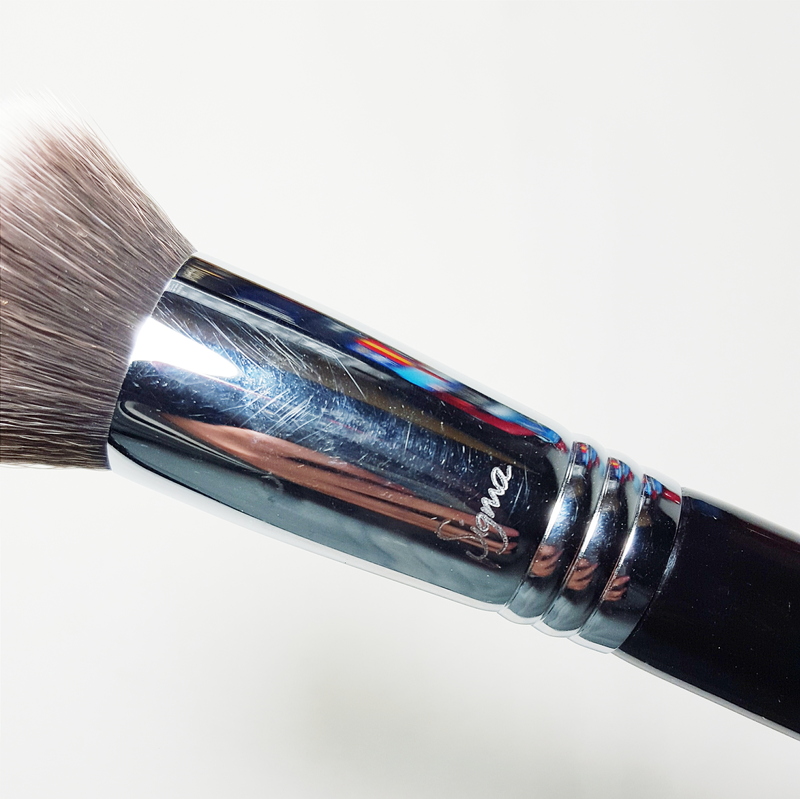 The Round Kabuki F82 is the absolute perfect tool to work in your foundation. It works for all kinds of consistencies and is incredibly reliable despite what kind of textures you may have on your face. You cannot go wrong with this brush! I’ve had this brush for more than 2 years now and it is still looking like I’ve had it for a couple of weeks. In Australia, it is very hard to get a hold of these products. There was a pop-up store held dedicated for Sigma Beauty Products at Westfields Parramatta a couple of months ago, but that is as close as it gets. 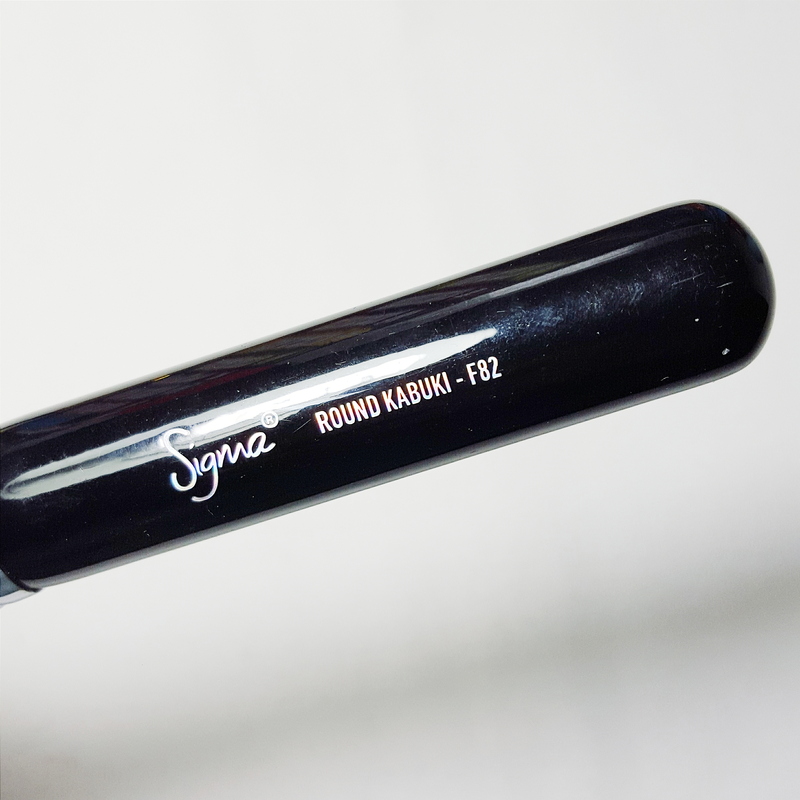 There are online retailers such as Redefining Beauty and Luxola, that sell the Round Kabuki Brush and other Sigma Beauty items as well. Alternatively, you can order directly from their site “Sigma Beauty” They are relatively expensive, but makeup brush are a long term investment and is worth the splurge! They retail for $34.97 AUD on Luxola, $34 AUD on Redefining Beauty and $24 US on Sigma Beauty. They are also available in a set that you may consider putting your money into. Click here to check them out. …features a round brush head with very soft and dense fibers. Made with exclusive Sigmax® fibers, this brush provides a flawless, high definition finish with mineral powder when using a circular motion to blend for best coverage without any absorption of product. Sigmax® Fibers – Sigma Beauty’s exclusive thermoplastic engineering polymer developed to evenly apply cream and powers products onto the skin for a high definition effect. Features premium filaments engineered for outstanding softness, heat and chemical resistance, mechanical strength, and high durability. Sigmax®fibers are antibacterial and hypoallergenic. Ferrules – The patented 3-ring brush ferrule is made with high performance SigmaAlloy™ for durability and strength. The black and reflective silver, sleek design of the brush gives a classic look to their brushes and in my opinion, looks amazing to admire on your vanity table. The ferrule is made of a metal alloy, with a polish almost like a stainless steel material. The handle is made of a sturdy wood that has had 8 coats of paint, which Sigma claims to be “scratch resistant and guaranteed to last”. The ferrule has 3 patented rings, offering a unique touch to the design of the brush. Printed in the middle of the brush, there is a silver, holographic print of the Sigma logo and the name of the brush, which is great for a point of reference. The overall brush is incredibly lightweight and does not strain on your muscles when you’ve spend a million hours perfectly blending out your foundation. It is approximately 15.7cm long and 2cm wide in diameter. It weighs 20 grams! Not bad for a brush. Even after 2 years of using this brush, the polish of the ferrule and handle has not faded or worn off. There is very, very minute scratches on the ferrule, but it is barely noticeable. Just holding onto the brush, it feels very high quality and you get your money’s worth, just in the way it is made. The Round Kabuki is slightly domed and tapered on the edges, making it rounded off being perfect to buffer foundation or powder in the crevasses of your face, perfectly. I honestly prefer this brush over the F80 Flat Kabuki, which has a flat surface. The bristles are synthetic and very soft! It does not prick or irritate your delicate skin. As mentioned earlier, it does claim that it is “antibacterial and hypoallergenic”. But I wash my brushes regularly and do not have any allergies, so I cannot tell my beauties whether that is true or not, but I can say that it does not collect dust! 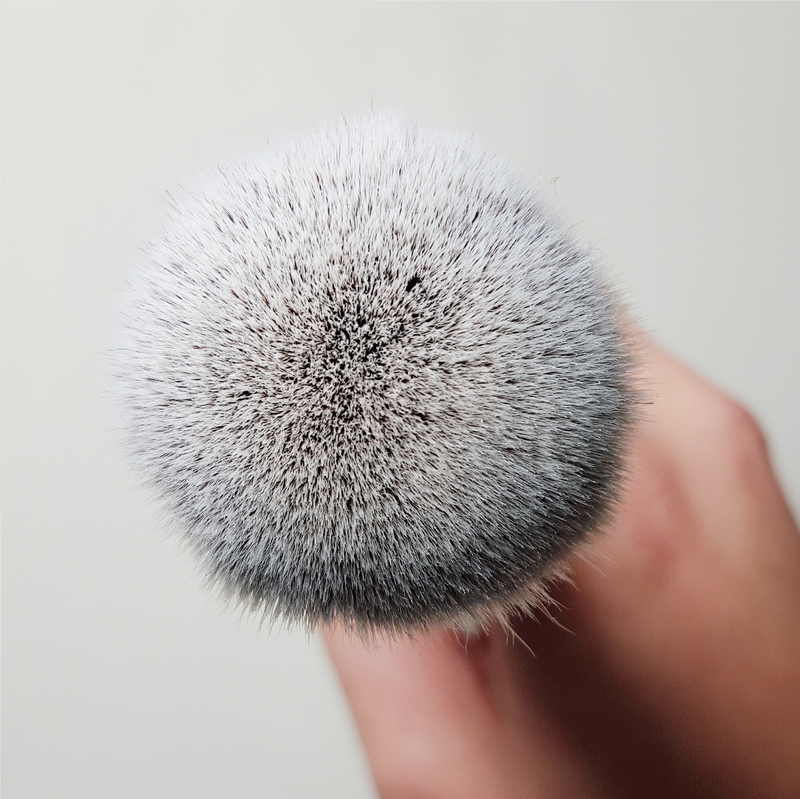 This brush was said to be recommended for powder foundations, due to its density, but honestly, I’ve been loving it for all my liquid foundations, such as my Estee Lauder Doublewear Foundation, Urban Decay Weightless Naked Skin Foundation or my L’oreal Paris Infallible Foundation. It just works just as well! The density of the brush allows you to collect product and help you blend and buff the foundation into your skin so seamlessly. It does not streak or drag the product (but that it also dependent on the foundation, itself, as well). Since the bristles are synthetic, it does not absorb much of the product onto the product. Before using any brush, you need to wash it once to clean out any factory residues or impurities. After the first wash, I hadno fallout with this brush and with the washes after, there was still no fallout! The glue that binds the bristle is sure doing its job. But make sure guys, you always wash your below the ferrule and not passed it, or else the longevity of the brush will sure shorten. What I also love about this brush is the ombre fade of colours on the bristles. I like to know how dirty my brush is, so I know how much product is on the brush, but I like how it blends into the rest of the bristles, that it doesn’t look that dirty. I appreciate the little things. There are different types of foundations out there, and this brush can cater to all of them. Dip the brush into the foundation, and buff the product into the skin in circular motions. Do this until the product is to the right amount coverage that you are happy with. Dispense the product on the back of your hand or a palette. Do not directly put the foundation on the brush. This is increase the longevity of the brush. Dip the brush into the product and work in small amounts. You can either dot it on your face and buff it into your face, until it is completely blended with your skin, or you can use the brush to dot it on your face, while blending at the same time. Work in circular motions. Generally speaking, this brush is suitable for both professionals and amateurs just starting out in makeup. It is incredibly easy to use and takes almost to little effort to blend in the foundation. It is incredibly soft and does not prick or irritate your skin. The round edges of the bristles makes it easier to work in product into the creveasses of your face and the harder parts of your face that a Flat Kabuki cannot exactly get into. Though it is a little pricey, it is just flawless – something to have in your collection. But if you are not a collector like I am, or not wanting to splurge, there other brushes from other companies, such as Real Techniques that will do the same job just as well. Or you can invest your money in a Beauty Blender that can pretty much do it all. 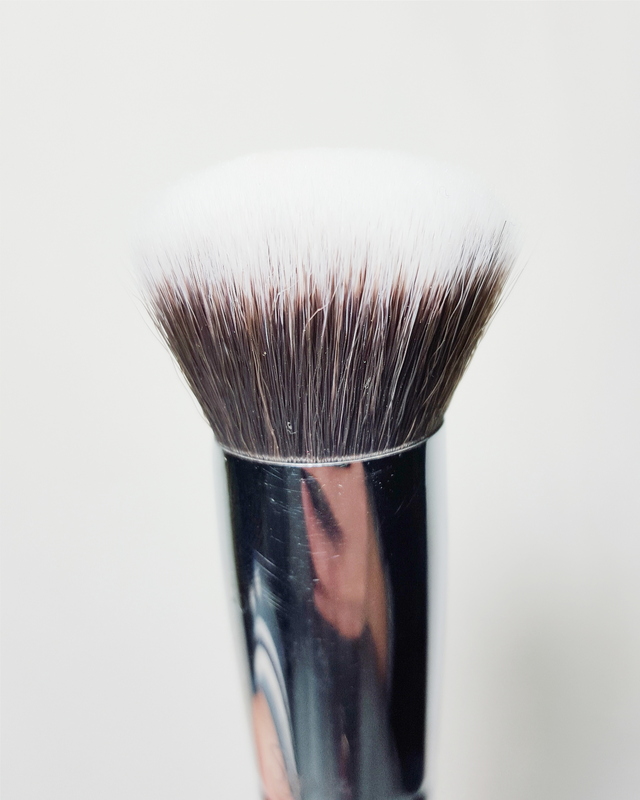 I love using this brush to buff in my foundations and have been using this religiously! High recommend! Links provided are affiliate links. This is not a sponsored posts and the product mentioned was purchased by me. I am not being compensated by any of the companies mentioned above for full disclosure, please refer to the disclaimer page. I really want to try this and the F80, they look amazing.